Seeing as how popular my previous Zara Perfume posts were (Cashmere Rose is almost always listed in the Top 10 Posts in the side-bar), I picked up a total of x19 Zara Fragrances for around KD 120 to review (but also because I’m kinda’ obsessed with fragrances now and also because I was hoping to find some “hidden gems”). 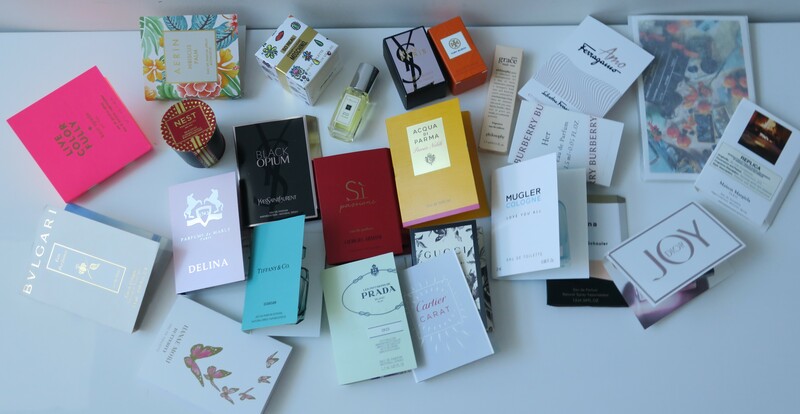 For starters, just like their clothing, Zara regularly comes out with a lot of excellent duplicates or “dupes” of best-selling high-end and designer perfumes. 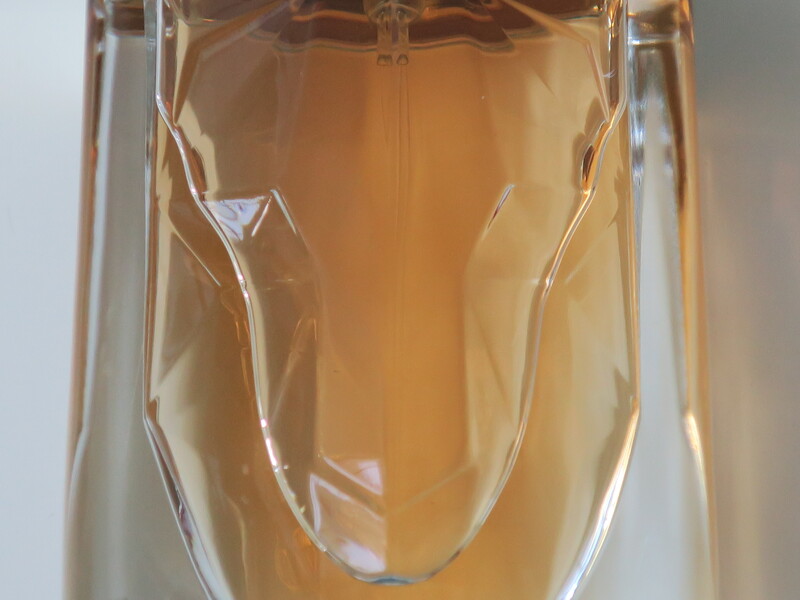 That said, keep in mind, as with most cheap-y fragrances with a high alcohol content, these do not last as long. As such, most of them were pretty inexpensive (the lowest ranging from KD 4/900 and the highest ranging to KD 10/900)! I’d also like to point out that although certain fragrances might still have the same name, Zara tends to reformulate them (completely switching up the scent) and change the packaging, from year to year. Lastly, these are just my “first impressions” and my opinion is subject to change (so please don’t be offended if you happen to love a certain scent and I don’t). 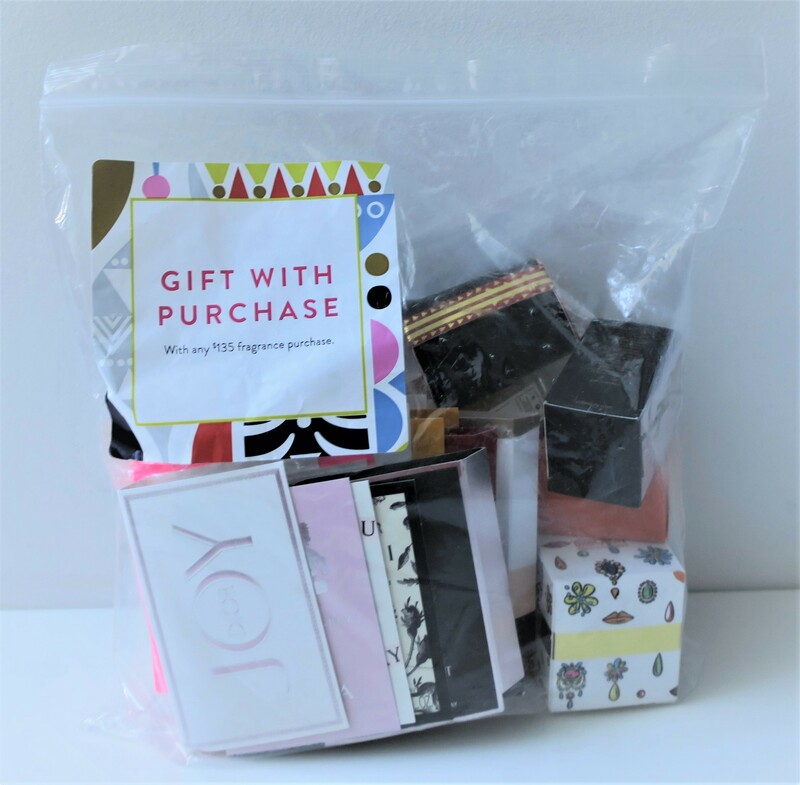 Nordstrom was having yet another promo and just like it says on the sticker, with every $135 Fragrance Purchase (which converts to around KD 40) you qualified for the pack of fragrance samples (as shown)! Most of them were tiny spray samples, but there were several adorable mini perfume bottles and even an actual candle! Not only that, but they were all either from designer or niche brands! A lot of them were relatively new fragrances too! Best of all, included was a sample of Delina by Parfums de Marly (which I’ve been dying to try)!!!! This particular promo could not have come at a better time, especially since as I’ve already demonstrated (haulage here), I was more than willing to spend my money on samples. Funny how only a few months prior, I would’ve barely glanced at this promo, but now that I’m obsessed with perfumes, I was giddy with excitement, practically salivating, at the prospect of playing around with all those perfume samples! If you check out my Spotted at The Body Shop post (linkage here), you’ll see every single item purchased in this haul and more! Unfortunately, these babies were on Sale when I purchased them and although the Sale is now over, they’ve currently got a Buy 2, Get 2 Free promo going on at the moment, which is equally sweet (if not better)! I picked up a Concealer and an Eye Cream, while the rest are all Skincare and Hair Care and Shower Gels, all of which smell amazing! If you’re planning on picking up a few things from The Body Shop, now is the time, because they’ve got a Buy 2 Get 2 Free deal! 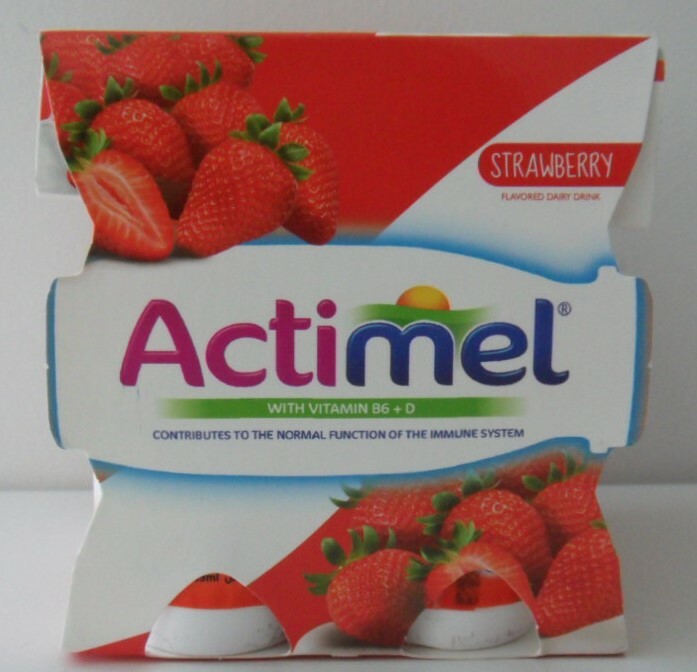 Actimel (also known as DanActive in the United States and Canada) is a ‘probiotic’ yogurt-type drink produced by the French company Danone. The first time I ever tried this stuff was in Germany about 10 years ago and have been obsessed with it ever since! Based on the name, you might assume this is just your average, run-of-the-mill, Strawberry Milkshake but it’s not. If you’re Middle-Eastern, chances are you’re familiar with Laban. This stuff kinda’ tastes like a fruitier version of Laban. Actually, I believe Fruit Flavored Yogurt Drink would be a more accurate description. It’s actually tart and delicious with the just right amount of sweetness. Imagine your Pomegranate Flavored Frozen Yogurt from Pinkberry had melted and instead of tossing it out, you just poured it into a glass, chilled it in the fridge and drank it afterwards. It might not be everyone’s cup of Tea Dairy Drink, for example my older sister isn’t a huge fan of Pinkberry and as such, thinks this stuff is horrible but I personally love it! Our fresh and fruity shaving soap will have you dreaming of summer picnics every time you take a whiff. We’ve whipped fresh strawberries and egg whites with moisturizing rosehip oil, cocoa butter and coconut oil into a light, marshmallow-y soap that softens skin when you shave with it. Plus, all those hydrating ingredients keep post-shaving redness to a minimum! 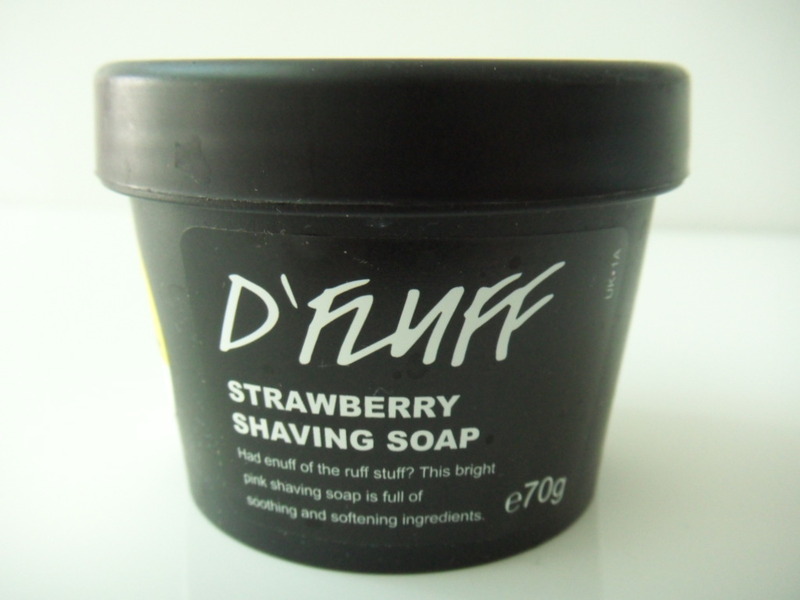 I’m a die-hard fan of Nivea Cool Kick Shaving Foam (For Men) but this D’Fluff Strawberry Shaving Soap from Lush was just too cute to pass up. I first hauled it (here). I was at Ikea paying for my stuff at the cash register when I decided to check out their little grocery store (it was in my direct line of vision and I was parched). For whatever reason, I’ve never ever stopped there before until that day. 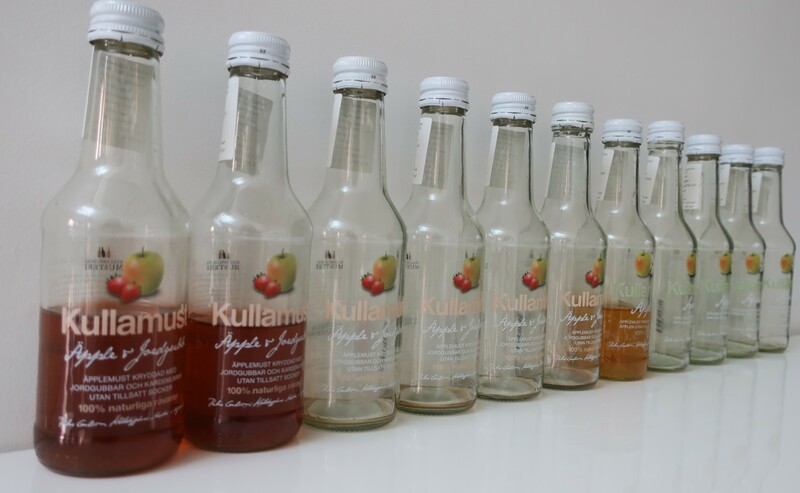 I was delighted by the fact that they had several different variations of Apple Juice that were packaged in what appeared to be beer-bottles. They had Apple & Raspberry, Apple & Strawberry, and regular Apple Juice. Being apple-obsessed as I am, I bought one of each for myself to try out, and another one of each to take back home for whoever else was willing to give them a try. Apple & Raspberry was vile! Come to find out (I’d missed it on the tiny graphic) that it included a shot of mint (ugh!). Tricksy little hobbitses. Everything seemed legit at first but the aftertaste (mint) was horrible, for me at least. The regular Apple tasted nice but wasn’t anything special. The Apple & Strawberry however was everything! I’ve been purchasing Apple & Strawberry in bulk ever since, well, only when I happen to be at Ikea.